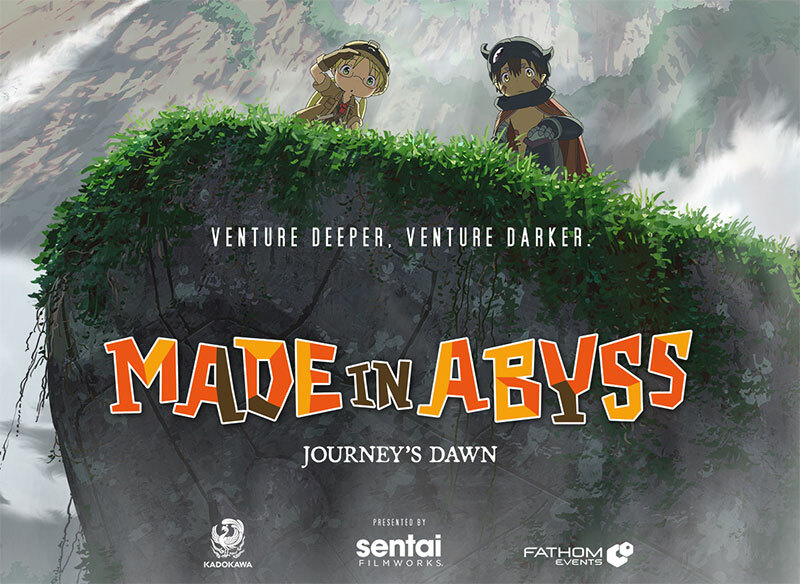 January 29, 2019 – Sentai Filmworks and Kadokawa Pictures today announced that its first film in the two-part MADE IN ABYSS compendium, Journey’s Dawn, will screen across hundreds of movie theater locations in the U.S. Heralded as an adventure that’s both hopeful and harrowing, Journey’s Dawn will be shown in theaters on March 20 for the Japanese with English subtitled screening and March 25 for the English dub showing. The MADE IN ABYSS television series took audiences by surprise and garnered ecstatic reviews with its disarming facade that shrouded a dark masterpiece. Now, cinema audiences can experience the timeless story with newly added scenes and dynamic storytelling. The anime is based on the manga and original anime series, and one biggest selling points of the film is the art direction of Osamu Masayama who comes from a long career animating and overseeing animation at Studio Ghibli. His work helps to elevate the animation and artistic style of the film and works nicely with the skills of Masayuki Kojima, best known for his previous directorial role in creating the acclaimed Monster anime series. Next Article GRAND OPENING RECEPTION OF EMMANUELLE BLANCHE!